It's a challenging economy - what can you do? Sharpening your skills and developing specialties can help you ride out the bad economy and come out on top. Economists recommend investing in yourself during an economic slump - view it as a sort of unexpected sabbatical! Not only will you end up beating out the competition, you will also increase your income. Take this time to grow. It might not be at the time that you would have chosen but that's okay. Target specialized areas of the design business that are experiencing growth--redesign, staging, and restoration, to name just a few. Also, focusing on niches such as feng shui, green design and positive/ negative ions in design will increase your competitive edge and give you a more rounded portfolio, making you hot stuff when we come out of this economic lull. DSA has gathered several experts in these fields to help train you in specialty areas. Read this newsletter and future editions for discounts and great advice. Grab a cup of coffee and set yourself up in your favorite chair. In this challenging economy it is important to stick together! DSA is setting up a webinar for members only. We will discuss important topics and ways for us to network. Members will receive an invitation via email from DSA "Go to Webinar" any questions please contact DSA @ 229 888-2459 ext "0". Does the shape of the building matter? Intentional Environmental Design asks, does the shape of the building matter? I have been involved with a corporate consolidation for the past 6 months. The goal was to move all employees from one building into 2 separate buildings. Our goal was to provide them with an assessment of which building would have stronger support for Senior Leadership placement. Below is a brief overview of the shapes of the buildings and the feng shui/intentional environmental design assessment. Intentional Environmental Design works within the realm of the seen and the unseen, the essential ingredient being energy, animate and inanimate. IED underscores the psychology of the built environment and the study of the Person Place Connection. It's definition in short, is the "art of placement." It is based on mans relationship with nature and the principals of harmony and balance. It falls under the category of the natural, behavioral & physical sciences. 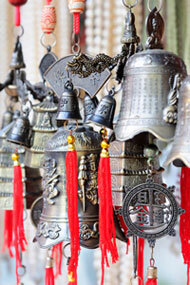 The use of specific design elements, such as shape and color, is taken directly from nature. These Natural Elements are referred to as Fire, Earth, Metal, Water & Wood. Each element is multi layered, and includes many attributes that support functionality and sustainability in the built environment. Attributes are multi dimensional and versatile so as to include, such things as less absenteeism, efficiency, less stress and overall well being. Each shape and element stirs an emotional response for occupants, potential owners, sales agents and others and effects the way one feels and operates in the designed space. That being said, the most important and first consideration is the shape of the building and the placement of the occupants within the space. Does the shape of the building influence the way a person feels in the built environment? The following is a brief analysis of the existing buildings from an Intentional Environmental Design perspective. I trust this information will add an expanded perspective and support for Senior Leadership and the placement of their Vice Presidents, departments and consolidation design. Please know there is no right or wrong, as all can be remedied and supported through correct intentional environmental design. The #10650 building featured below is whole and complete in its shape. The shape is a full rectangle, and holds the energy of wood/earth. The Wood attribute holds the energy of an upward movement and the Earth attributes are defined as, trust, strong, solid, safe and balanced. This is a good, strong & complete shape for any building. People tend to feel comfortable and safe in spaces that have all 4 corners visible and complete. The square/rectangular shape gives one a sense of trust, & security. 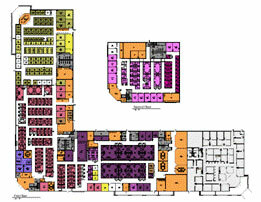 The #10650 floor plan features a center lobby which through its placement anchors the space and use. The design intent includes adding an exterior canopy (shown in purple) which will extend over the entrance as you enter the building. Corporate Signage will be added as well. The extension will become visible to all who pass by. This will ground, anchor and make visible the desired new campus in this corporate center. In addition, the #10650 placement of East Coast Sales VP and West Coast Sales VP would hold a more prominent position than in the #10750 option, because of their proximity to the front lobby. VPs, although independent of one another, would share the alignment of the newly remodeled adjoining conference room, which they could share with all occupants, as well as their teams. The #10650 Option has covered parking presenting a sense of safety for employees who enter through this venue. #10750, featured below is L shaped and irregular. The L-Shaped Building presents an individual with a split decision upon entering into the workspace, no place to focus and feel grounded. Lobby, apex of L-shape workspace, and far reaching ends of each wing are visually disconnected, creating a possible sense of uncertainty. The shape of the building feels weak and incomplete and will be better supported and remedied through Intentional Design. Option #10750 Placements: West Coast Sales VP and East Coast Sale VP s are positioned in the upper left hand corner, a far distance from the main lobby and would be entering the building through a side entrance with no covered parking. This placement holds less prominence and strength. One can parallel this as walking into one's home through the garage, an option considered as less correct placement for the person/place connection. Our recommendations for the #10650 building, as our first choice option, were duly noted and final decisions are forthcoming. Please note building shapes and land shapes hold the strongest amount of energy. They are the first consideration when Intentional Designing any space. X L-Shaped Building presents an individual with a split decision upon entering the workspace. No place to focus and feel grounded. X Lobby--apex of L-shape workspace; far reaching ends of each wing are visually disconnected, creating a sense of uncertainty. Mention DSA and receive 6 months additional DSA membership free. Call 229 888-2459 ext "0". September 7th.-11th. 20011 Nashville, TN. The new Studio Designer Image and File Manager is now available. Visually view and manage product images related to your design projects. Upload product images from your computer or capture them from manufacturer websites. Quickly and easily attach unlimited images to items on proposals, orders and invoices. You can also attach unlimited documents to items in your design projects. PDF, Word, Excel, drawings, floor plans, agreements and other documents can be attached to items in design projects. Links to the documents are automatically added to your proposals, orders and invoices. Your clients and vendors can view the documents with a click of the mouse. 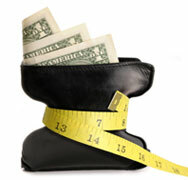 DSA member Interior Designers--you can increase your income with additional services. DSA members will receive a $100 OFF coupon for classes. Call 229 888-2459 ext "0" ask for staging code number. Becky Harmon hosts Home Staging and Redesign certification classes monthly in the Jacksonville, Florida resort community, Queens Harbour Yacht Club. Clients have one opportunity to make a first impression when selling their homes. National surveys have discovered that staged homes sell in half the time and can add up to 10% to the value of the selling price. For clients who are not selling their homes, a redesign can offer a breath of fresh air to an old, stale space. By utilizing what a client already owns and adding a few new pieces or a fresh coat of paint, you can turn your client's home into a new space. Becky's Motto: In order to have a spectacular result, you must not only â€˜pull the weeds' (de-cluttering and neutralizing); you must also â€˜plant the flowers' (add designer tricks-of-the-trade). With an intense 5-day class, designers will graduate certified in the field of interior redesign and real estate staging. 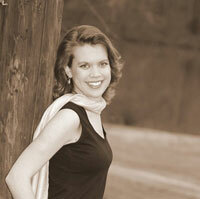 All classes are taught by Becky Harmon, an Allied ASID member with 18 years of experience in design. Each 5 day course is limited to 5 students so that careful attention and instruction are guaranteed. Classes include meals, hands-on redesign and stagings in four homes, ongoing support, coaching and teleseminars, certification in interior redesign and real estate staging, a compressive instruction manual, and a DVD of an actual staging and redesign for client presentation. There are a plethora of sustainable options in design. Sustainable options range from earthy-looking bio-composite boards to exotic crystal-filled glass panels; naturally, some options are more expensive than others. Sustainability comes in the form of rapidly renewable and recycled materials. 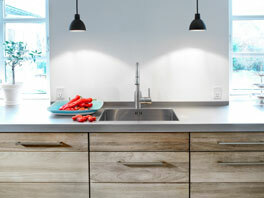 In this article, we will review the various countertop options and their sustainable features. Almost every surface product is GreenGuard Indoor Air Quality certified. This means it has low levels of Volatile Organic Compounds (VOCs), which factor is quite beneficial for your client. 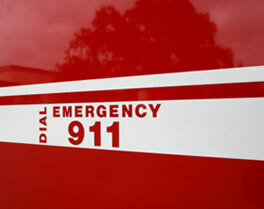 VOCs, if concentrated enough, can cause upper respiratory irritation or aggravate asthma. Laminate countertops are inexpensive and come with many options. 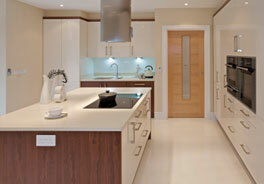 The laminate consists of a thin melamine layer bonded to a backing sheet. The non-visible backing sheet may contain rapidly renewable and recycled content. Laminate comes in different thicknesses. The thinner versions can be molded seamlessly over a counter and backsplash while the thicker versions are more durable. The popular brands are made in North America. The biggest opportunity for sustainability is in the choice of the substrate--what the laminate is glued to. Laminates are typically installed on medium or high-density fiberboard. Fiberboard is made of wood fiber and resin and is a mixed blessing. While the wood fiber is entirely recycled content, the resin can introduce VOCs. This factor is especially important in healthcare and childcare situations and can be addressed in one of two ways. One way is to use fiberboard with no added urea formaldehyde; the other option is to seal the non-laminated surfaces. Scientific Certification Services (www.scscertified.com) offers "no added formaldehyde" and "no added urea formaldehyde" certifications along with product databases. Countertops made of composite and solid surfaces are more durable than those made of laminate. A surface blemish does not reveal a different color underneath. Almost all composite surfaces contain rapidly renewable or recycled content along with a binder. Some use recycled content such as glass or concrete. Others use paper, wood, or agricultural byproducts. There is a wide variety of composition, appearance and price, and almost all composites are made in North America. Solid surfaces, similar to composite surfaces in many respects, are a different story. Only one brand (Wilsonart) contains recycled content and none are made in North America. Countertops and surfaces are also available as castings. These products are similar to concrete and can be purchased as slabs. They can also be custom-made with an integral backsplash and/or sink. They contain recycled content and are made in North America. Granite is very durable and comes from Canada or overseas - not very sustainable but hugely popular. Kaaren Younts DSA "Loyalty Ambassador"
Facebook! Twitter! LinkedIn! YouTube! - Social media!! I am sure you've heard the buzz, the excitement, the predictions â€“ social media is the new "must", the "way marketing is going". While everyone is excited about this glittering and promising new world, in which one can connect with all kinds of fresh customers, clients and partners, the question eventually surfaces: "how do I really make social media work for me?" Facebook, Twitter, LinkedIn and other social media, wonderful and exciting new venues, are simply new and expanded arenas in which to practice your basic principles of business relationship and ethics. The true attraction of social media is its ability to expand the range of your social and business network--not its ability to enhance your quality of business or client or customer. Social media is not in itself, your ticket to instant, profitable business relationships. Therefore, I suggest you view your social media venues as you would any other context of business relationship--with respect, discernment, courtesy, and the intention of building long-term trust. Make time but don't waste time. One of the dangers of social media is the unending range of options--and, thus, its potential to be an unrelenting time-waster. It is easy to spend an hour or more every day, making comments, reading articles and news--but never see any results from the time spent. Keep a notebook or spreadsheet to track what entities you are keeping in touch with or tracking. What organizations do you want to connect with and to what extent? Be deliberate and focused even before you get online. Set goals and accomplish them quickly. Twenty minutes spent consistently in such a fashion will yield far greater results than an hour two spent "looking around" whenever you "get around to it." So much more can be said about social media, of course. But perhaps this is a place to start for the moment. Enjoy your summer and stay cool! 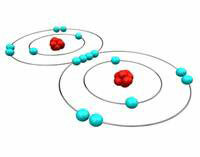 "Ions", how do they effect YOU and your FAMILY? The materials we and others use often require counter-action to make them safe and healthy, to neutralize their potential harm. Pollutants from the outside, pesticides in our air and soil, stagnant air, contaminated or over-treated water--all of these challenges pose new opportunities for imaginative and artistic solutions. Your value to your client--commercial, residential or otherwise--will skyrocket as you are able to help them intelligently consider the environmental quality of their project and provide effective, attractive solutions. Air pollution is one issue that constitutes a growing challenge in the design world. The natural earth environment has its own balance that (when not too disturbed by us!) sustains and nurtures us. Now that we are creating sophisticated mini-environments, we are finding that we need to pay attention, not simply to developing an aesthetically pleasing, physiologically comfortable surrounding, but to fashioning an atmospherically healthy context as well. We have known for some time now that our bodies must maintain a delicate balance of many kinds of elements in order to function properly. Did you know, however, that negatively charged ions play a critical role in keeping that balance? You might remember from high school chemistry that molecules do their work by binding and rebinding with other molecules, giving and taking ions so that they are either positively or negatively charged. Researchers are finding examples in nature and in empirical study that the electrical charge of the air around us greatly affects physical and mental health. Positively charged ions are associated with higher rates of pulmonary and cardiovascular diseases, stress, migraines, and other physical and physiological ills. Unfortunately, the plethora of technological features we now have in most homes, offices and other spaces, tend to emit large amounts of positive ions and deplete the amount of negative ions in our environments. Negatively charged ions, on the other hand, have been found to produce greater resistance to certain types of diseases, increased energy and productivity, and relief from asthma, allergies, depression and other ailments. In addition, things like mold, pollen, smoke, dust and other particulate pollutants that ride along in the air can be counter-acted by introducing a higher concentration of negative ions. 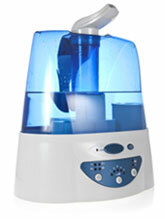 The negative ions can bind to the particulate matter, eliminating those elements from the air. Many types of air purifiers and ionization techniques have been developed. You can find anything from the most sophisticated Bipolar Air Ionization systems to the most earthy homeopathic remedies. Perhaps a blend of various systems will work best--with different blends tailored to fit each project. The important thing to realize is that the appliances, technology, and materials used in the environment you are creating will have long term effects on the inhabitants of that space. Thus, as you create your space, consider how you could build in features that will rejuvenate and enliven the atmosphere of that space--your clients will thank you for it! What's holding you back from the success you want and deserve? Have you asked yourself that question, and if so, what do you think is the real reason? The answer may not be what you expect. In fact, it affects approximately 60% of all interior designers. After coaching and mentoring nearly 6,000 interior designers globally, some interesting patterns emerged in the calls and emails. I will share the reoccurring themes in my newest eBook ($79 Value). You'll discover 18 common limiting beliefs, and 13 essential success factors to get your business on track to recovery. Yes, the economy has been dismal, but there are designers who are doing well in spite of it. What are they doing differently? 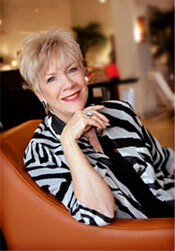 Gail Doby is a seasoned interior designer, Co-Founder and Chief Vision Officer of Design Success University. DSU is your shortcut to a more profitable and passion-filled interior design business.